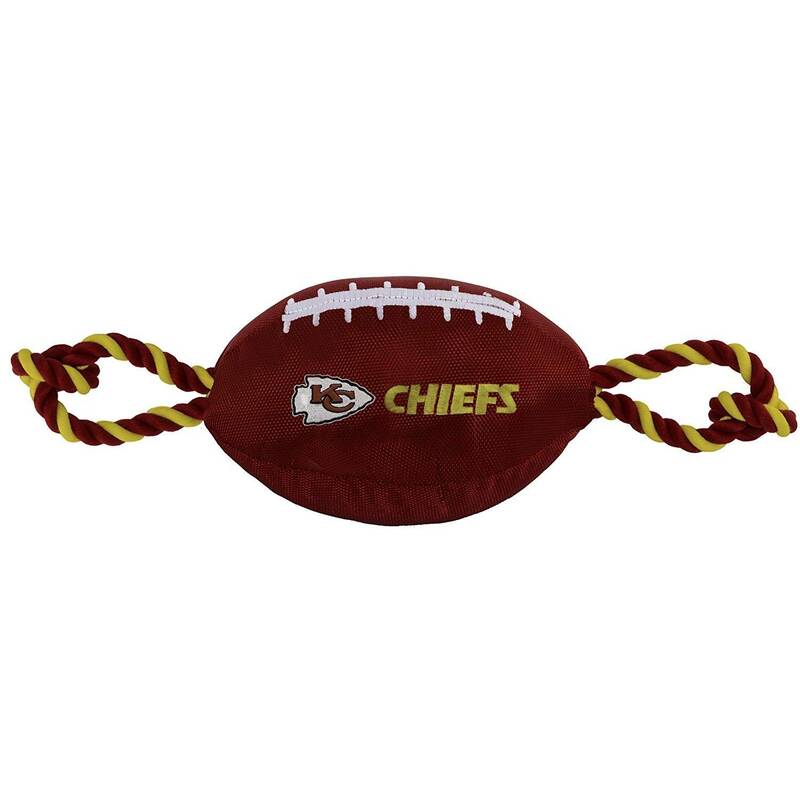 The officially licensed Kansas City Chiefs nylon football is made of tough nylon with rope ends and features an embroidered team logo. The officially licensed Kansas City Chiefs nylon football is made of tough nylon with rope ends and features an embroidered team logo. Great game day fun for you and your pet!